a. 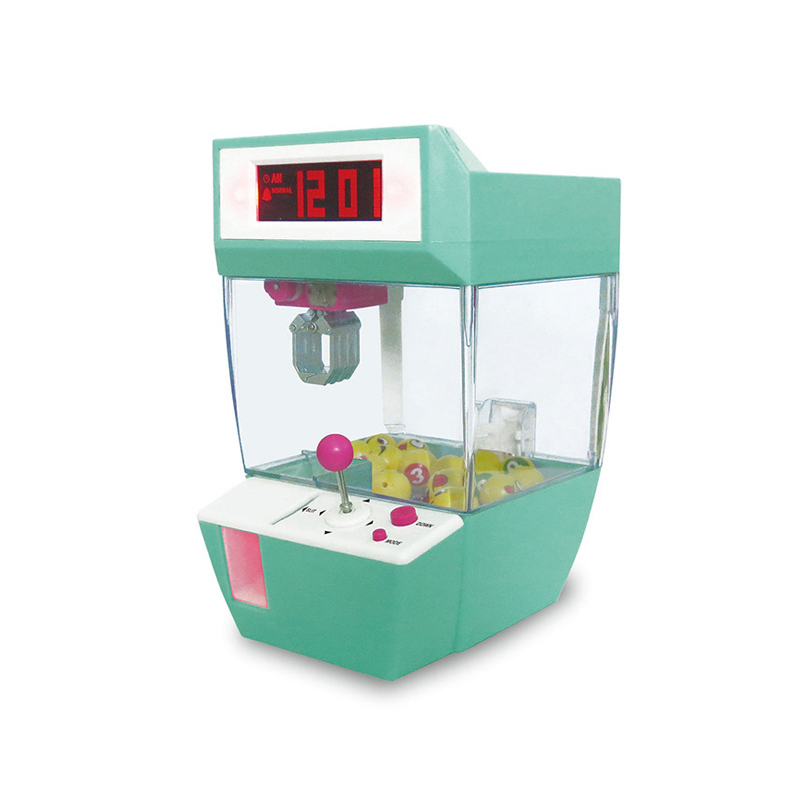 Normal mode: Need to put a coin and move the control level to set catch the ball. The alarm clock will be turned off whether you can catch the gift ball or not. b. Hard mode: Need to put a coin and move the control level to set catch the ball. The alarm clock will be turned off when you catch the ball. If not, the alarm clock will be alaways ring if not stopped. Press any button to make the light on LCD display is on. and then press "DOWN" button to catch the gift ball. After that, no need any action, the grappler will carry the gift ball and deliver to the gift balls exit. The alarm clock will play different sound whether you catch the gift ball or not. Please kindly change new batteries when you play the catcher alarm clock anf find the time display is turning to 12:00. And this toy may be not work is you use in wrong way or use the strong alkaline batteries, if you have any problem, please feel free to contact the seller. Please refer to the use manual carefully. 4. Sometimes it would be longer because of the bad weather, a waste of time in customs clearance. Thus please wait patiently when you do not receive your item on time. If you don\\\\\'t receive the item within 45 days, please contact us, and then I will help you track it.